Register for a free account, or sign in. Then share your experience with your friends and family and give them 15% off their kitchen remodel! Spread the word about your awesome customer experience with Kitchen Magic. It's easy for you to invite your family, friends and neighbors to enjoy a free design consultation and an exclusive 15% discount on their kitchen remodel. 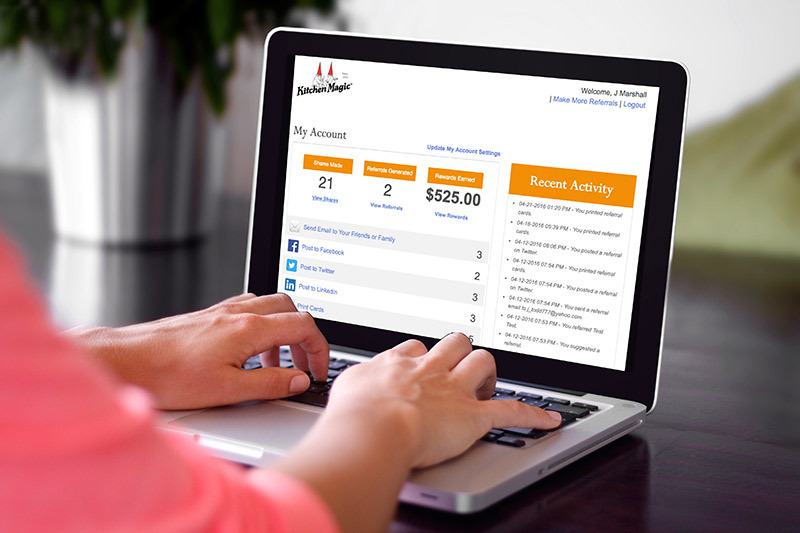 Once you create an account, we'll give you all the tools you need to easily share the offer via email, social media, printable cards and more - all from a single page. You can refer as many people as you'd like. 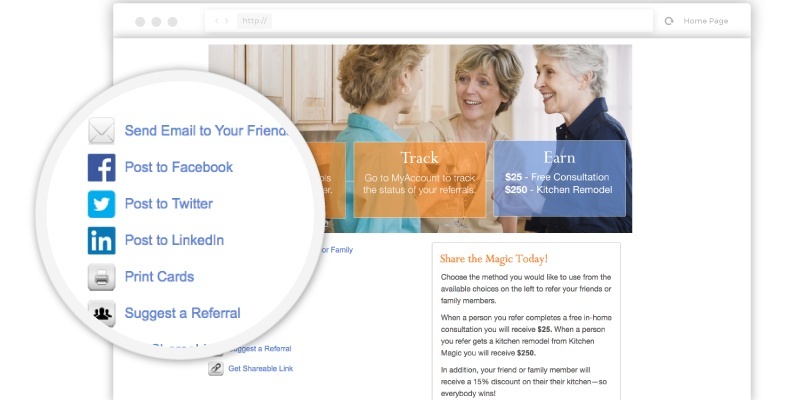 You can even sign into your account at any time to track the status of all of your referrals from a single page! You will receive an email each time one of your referrals accepts your invite, receives a free design consultation or gets their kitchen remodeled. Not only will you feel good about letting people know about a great service and saving them 15% on their kitchen remodel, you will also receive rewards as our way of saying thanks. We will mail you a check for $25 for each of your referrals who receives a free in-home design consultation, and $250 for each one who remodels their kitchen! Share the Magic is FREE to join and signing up only takes seconds.